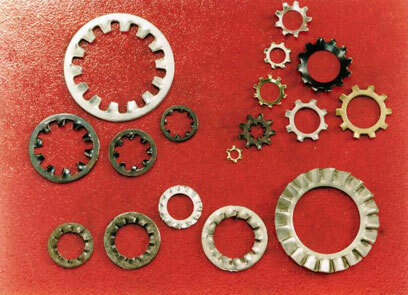 Shakeproof washers provide vibrational resistance by virtue of their internal or external teeth which “bite” into the substrate and nut to provide a locking mechanism. They also provide electrical conductivity, e.g. for earthing terminals on metal cabinets or elsewhere. 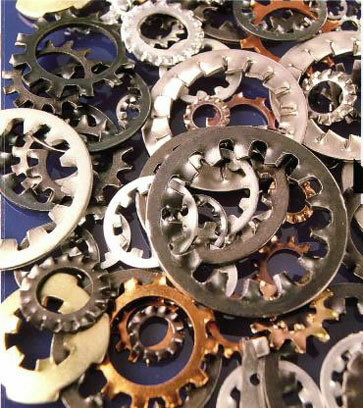 Commonly manufactured in zinc plated steel, stainless steel and phosphor bronze. 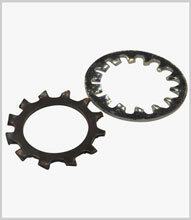 Sizes to fit metric standard screws, with Imperial sizes also available.